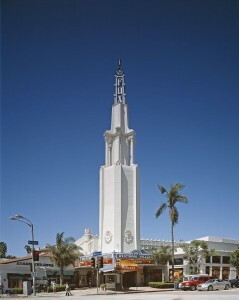 I read recently that the Fox and Bruin theaters in Westwood Village were in danger of closure. Fortunately, Regency Theaters stepped in to avoid what might have been a conversion to retail space or an outright demolition. I can just picture the local residents and architectural preservationists fighting tooth and nail had this matter not been concluded as it was. 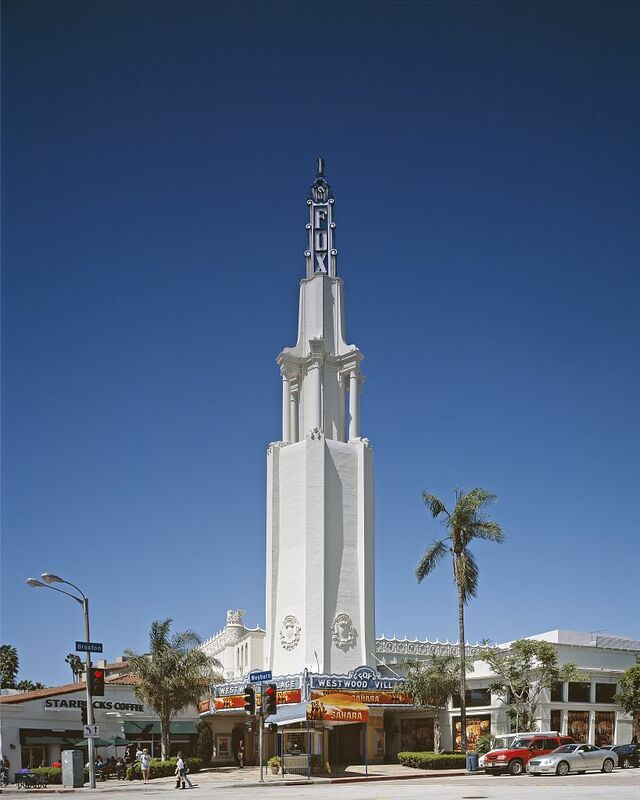 Having the benefits of a strong community where people can spend their free time in a place like Westwood Village should not to be taken lightly. I grew up in Westwood and watched many movies in those two theaters. Had we lost the Fox and Bruin theaters to the laws of highest and best use, we would have lost yet another piece of our history, as well as a reminder of why we chose to live in West Los Angeles. It is easy to get caught up in the day to day of property management. The property you own or manage may be “your world” but do not forget that it was the greater community which lured your customers (i.e. tenants) to live in your building in the first place. Ask yourself this: Do you or your resident manager know two ways in which to shut off the water to your building? Is there a shut down procedure in place to avoid damaging the boiler or other equipment? 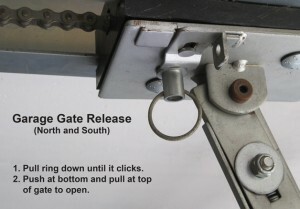 Do you know how to open your garage gates in the event of a power failure? Where is the gas shut off to the building? Many buildings have more than one location. Do you know how to make a reasonable attempt to fix a stuck elevator? Where do you go to shut off the power to the whole building? What about an individual unit? 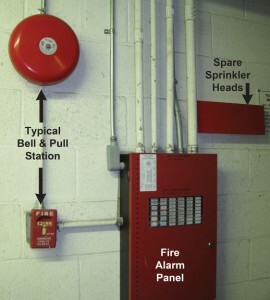 What do you or your resident managers do if the fire alarm goes off, or in the event of an actual fire? A lot of questions with big implications come up in a crisis moment. A little time spent preparing and answering these questions can be a big money saver when the time comes… and inevitably it will come. We have an emergency response plan for every property we manage. We start by taking pictures of the alarm panels, shut off valves, and any other control panels, and put these pictures in a binder. Pictures are inexpensive and easy with today’s digital technology. We then label each picture, and include clear, step-by-step instructions on the operation of each element. The idea is to create an emergency manual. It is amazing how well this information translates to effective action in a time of crisis. This manual is also a good place to put notes concerning emergency supplies and equipment you may have around the building. A prudent move for anyone living in earthquake country. Have an Emergency Response Plan – you will sleep better at night. Keep your tenants happy, but not at any cost. I recently came upon an article from Multi Family Executive, a trade publication for income properties, which left me scratching my head. The article set out to give advice on ways to maximize tenant retention, listing the usual things you would expect: Keep those repairs up to date, offer incentives like new appliances, new paint or new carpet and of course negotiate a new rent for those tenants who are determined to take advantage of a (from a landlord’s perspective) difficult market. All these tenant retention strategies make economic sense when stacked against the loss of income resulting from a vacant unit. However, there was one item listed in this article which I strongly disagree with. The article suggested returning the security deposit to long-term tenants who have a good payment track record. It is never a good idea to give back your tenant’s security deposit until the tenant has moved completely out and you have made all the necessary deductions – which you will then itemize in a security deposit refund letter. You might look like the good guy by giving back the security deposit, but there is not enough room here to list all the problems inherent with this gesture. The security deposit protects your investment. They may have been an ideal tenant for 30 years, but what if the moving company they hired to move them out damaged your elevator to the tune of $1000. What are you to do then? Withholding the security deposit until you have done a move out inspection and have deducted all necessary expenses will save you from future hassles. Hoarders and packrats – every building has one or two to a varying degree. Unfortunately, even the most thorough tenant background screening may miss such things as untidiness. Tenants can inflict a lot of damage to a unit when they set their minds to it. The trick is to spot the problems early on and take prescriptive measures to limit the damage. But given the fact that most landlords only perform two inspections – once at move-in and then the final inspection at move-out – how do you gain access to a tenant’s unit when you suspect something has gone astray? I recently had a tenant who turned out to be a hoarder with garbage and belongings covering every square foot of available floor space in his unit. I could see through the windows that something terrible was going on, but how could I prove it when this tenant always demanded formal notice to gain admittance to his unit? Although a standard lease agreement does provide for such things as landlord inspection of the premises, such scrutiny may put tenants at odds. This is where periodic maintenance of such things as AC filter changes, smoke detector testing, and the occasional plumbing leak can be an invaluable resource. Never miss an opportunity to perform a general evaluation of the premises when called upon to perform routine maintenance for the unit. In the case of our hoarder, a quick check of our records indicated that his smoke detectors were almost due for their periodic inspection. So we moved up the date a little and served the tenant a Notice to Enter the Premises for the purpose of testing the smoke detectors. Just as we suspected, we could not even get to the bedroom to check the smoke detector because there was so much garbage blocking our way. A 3-Day Notice to Perform or Quit was served and as luck would have it the tenant has complied for the time being by cleaning up his unit. Keep to a periodic maintenance schedule and you will find that it gives you the opportunity to fix more than just the leaks.